ArtsGoggle is a one-day art experience like no other. Businesses open their doors to show off the work of a wide array of local artists. Park Place Avenue will host GALLERY at GOGGLE, featuring fine art and gallery-quality artists inside each of the participating businesses in Park Place Village. In support of the Fort Worth arts community, these businesses clear their walls, rearrange furniture, and transform their traditional work environments into a gallery space dedicated to displaying the work of ArtsGoggle artists. Venues receive no compensation for hosting artists; in fact, the Park Place Village businesses go to great expense to become a venue, with many opening during off-hours and making adjustments to their spaces to accommodate artists. This unique partnership between business and artist is a distinctive feature of ArtsGoggle, and furthers the conversation about the importance of art in our everyday environments. GALLERY at GOGGLE will also include an outdoor street festival for artists and stage with live music and performance art throughout the festival. We hope you will join us for this special ArtsGoggle experience unique to Park Place Village! WE have been graced with the role of programming the Park Place ArtsGoggle stage this year and we’ve picked out some really awesome bands to play on Park Place and to top the night off, we will have our own signature event: Bandaoke from 8PM-10PM. 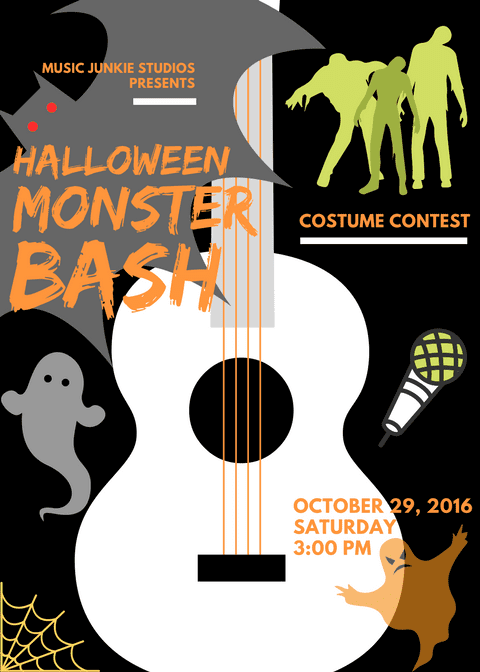 Last but not least, we have our brand new Halloween performance, the Monster Bash! The show starts at 3PM on Saturday Oct. 29th. I hope to see you all there! Here’s the catch: Wear your favorite Halloween costume for a costume contest and the winner will recieve an awesome prize!! !